You know about the history and what Pinehurst means to the golf world but what most people don’t understand is how great the people are that make up Pinehurst’s community. The people are what make this resort worthwhile. 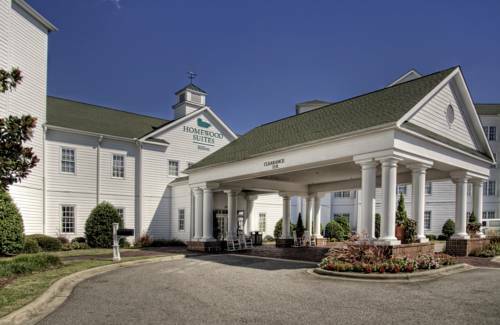 ‘Southern hospitality’ is at its finest and the members take true pride when describing their love for his place. 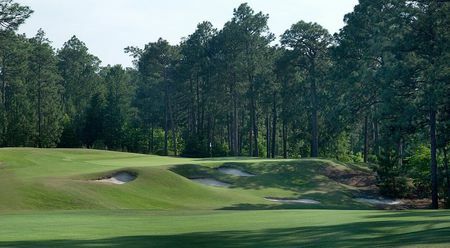 While no easy drive, Pinehurst is worth finding. The excitement increases once you start noticing the pine trees on either side of you while getting close to the resort. 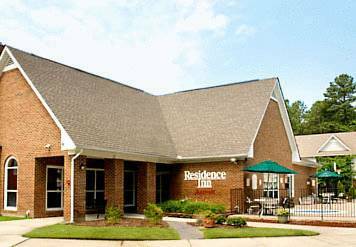 It’s hard not to spend at least a week in the Pinehurst area with multiple options at the resort and many other in the surrounding area. No matter what excites you in a golf course you can find it here. The resort itself offers everything your looking for including all things a non golfer wants. A couple points I found to be true, take time hanging out in the hotel looking at pictures and reading the history. I thought the breakfast buffet was overpriced and not worth the hype (many people recommend it). 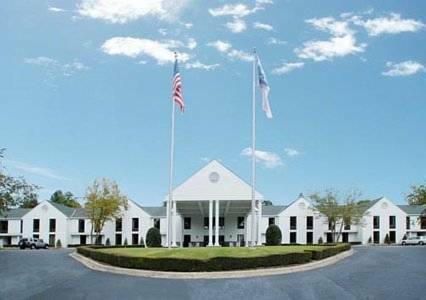 Spend as much time as you can at the main club house with a couple restaurants to hang out at and a wonderful southern patio to relax on. No. 2 lived up to my every expectation. It’s a course that must be walked to experience it’s greatness. 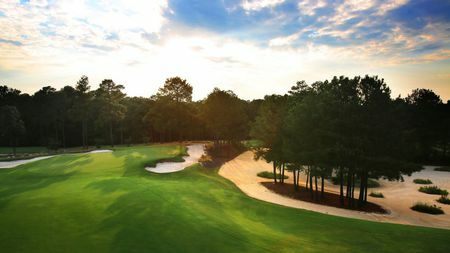 No ocean views, no famous holes, no noteworthy long carries or water hazards, just golf at its finest. It’s the way it’s meant to be played. A perfect venue for major championships but can be played by most all handicaps now since Coore and Crenshaw removed the thick rough back to to the original wasteland and removed the thick rough. 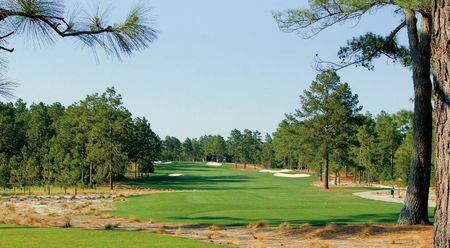 Pinehurst is one of Donald Ross’s greatest creation from your opening tee shot to your final putt. Specifically the green complex’s are genius. You can tell he left his heart and soul out on those greens. As seen on tv the greens are turtle backed but what’s hard to pick up are the multiple turtle backs in the same green complex. It’s amazing but frustrating at times to play. Also the par 3s are so well designed and each is different from the last. Pace can become slow when resort tee times fill the tee sheet. I was blessed to play with 2 members that spent time telling me the history of the course. Also a note relating to membership is they have recently changed their policy that you must own property within the city of Pinehurst, opening up more opportunities for others to join. Take a caddie! The caddie program is incredible and after you spend the time and effort to finally get to the area don’t be cheap, it’s worth it because Pinehurst is an experience. Obviously the practice facilities are world class. With a massive driving range, short game area, and plenty of putting greens to warm up on. My one negative is the practice greens are nothing like Ross’s green complex so it lulls you into thinking your putts will be straight, but their anything but. 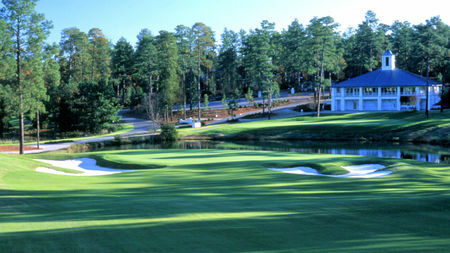 Pinehurst is a world renowned course located within a resort that offers you everything you need for a great visit. Don’t let the television visual effects of the 2014 US Open sway you away from this magnificent golf course. 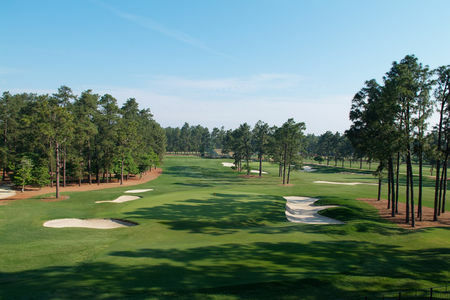 Find a way to get to Pinehurst North Carolina a top bucket course track.